Sometimes I wonder if the Swiss are the last people in the world that understand good time rock ‘n’ roll. 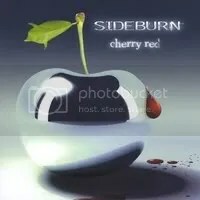 In truth, Sideburn have been doing their thing since the early 90s, but it was this release that drew my attention after coming across the band’s page on MySpace. The album is quite enjoyable. A solid mix of sleazy, bluesy hard rock that is reminiscent of AC/DC and Krokus. At times, I also find Roland’s vocals to be similar to Ratt’s Stephen Pearcy. This is definitely a consistently fun rocker of an album all the way through that should appeal to fans of AC/DC.